Careables is an open and inclusive approach to healthcare for citizens based on digital fabrication, distributed manufacturing and collaborative making. A careable is an open solution that aims to improve the quality of life for people with unmet needs or facing physical limitations. Careables are co-designed, replicable, accessible, adjustable and shareable online using digital technologies. Careables is a new category that promises readily customized solutions and a horizontal and collaborative approach to health and care. Healthcare demands and solutions are changing rapidly. On the one hand, we see an urge for patients and care professionals to design more customized and tailor-made solutions. On the other hand, the maker movement is designing ‘open hardware’, as product design is being democratized, opened up and accessible for a growing community. These two forces will be bundled and brought together through Made4You, the EU funded project which makes Careables possible. The innovative power of users and care professionals combined with Fab Labs and open hardware is not being used to its full potential yet. Made4You will change that. In Made4You, Fab Labs and makerspaces collaborate with patients and professionals to create personalised solutions and open source knowledge that will improve the live of many patients and professionals in Europe and the world. Accessible, comprehensive and easy to use open source hardware will be documented, collected and shared through the central platform ‘Careables’. This platform will grow into a central hub and function not only as repository for well documented open hardware projects. It will offer many different communities a place to connect and exchange knowledge, needs and co-create solutions. It’s easy to think of open hardware solutions that make a difference in people’s lives. An example of this is OPEN LIGHTS. This project offers people in wheelchairs an open source solution for wheelchair specific light that make them better visible at night. 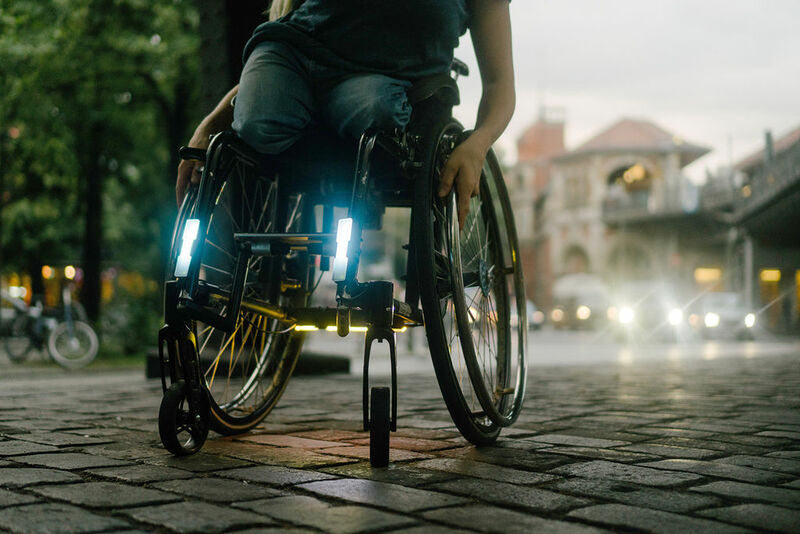 OPEN LIGHTS offers wheelchair users adjustable hardware that can be built with most common DIY technologies..
WeVolver is the core partner to provide the expertise in online collaboration and community building around accessible open-source hardware. 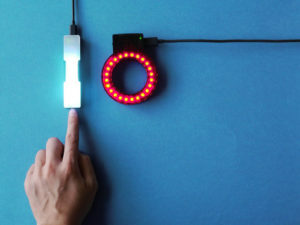 OpenDot is a Milan-based Fab Lab with a well-organized maker community, connected to the user interaction designers of DotDotDot. 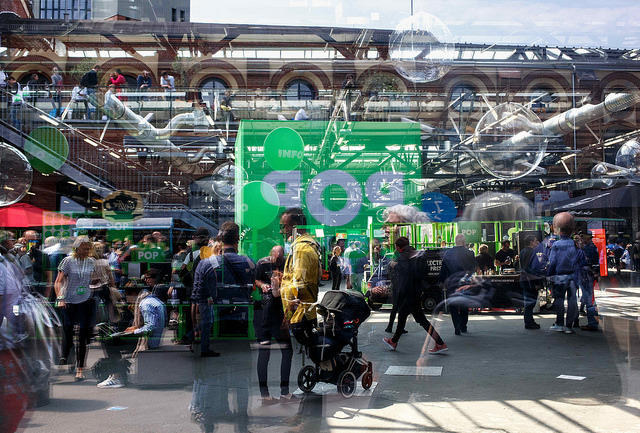 Global Innovation Gathering is a network of innovators and makers affiliated with Fab Labs, Makerspaces and hackerspaces located in the Global South. The GIG-network develops innovative solutions in healthcare, education and sustainability. As rehabilitation centre, Together to Go represents healthcare professionals and users. They provide rehabilitation treatment for children with neurological disorders and their families, using new methods and techniques. Zentrum für Social Innovation is an independent research institute specialised in measuring social impact of responsible research. Catholic University of Leuven brings in extensive experience in privacy and information law, which is crucial in dealing with healthcare related issues online. Waag Society is an institute for technology, science and arts. We bring in expertise on what people need to develop personalised solutions for their healthcare challenges. Furthermore, we focus on enlarging and connecting the different communities strategically. This is a prerequisite for individuals, makers and healthcare professionals to strengthen each other in multidisciplinary making and innovation..
…read more about the project partners.